The Carrollton Covered Bridge at Carrollton in Barbour County spans the Buckhannon River and is a 141-foot long, multi-kingpost Burr-arch truss. 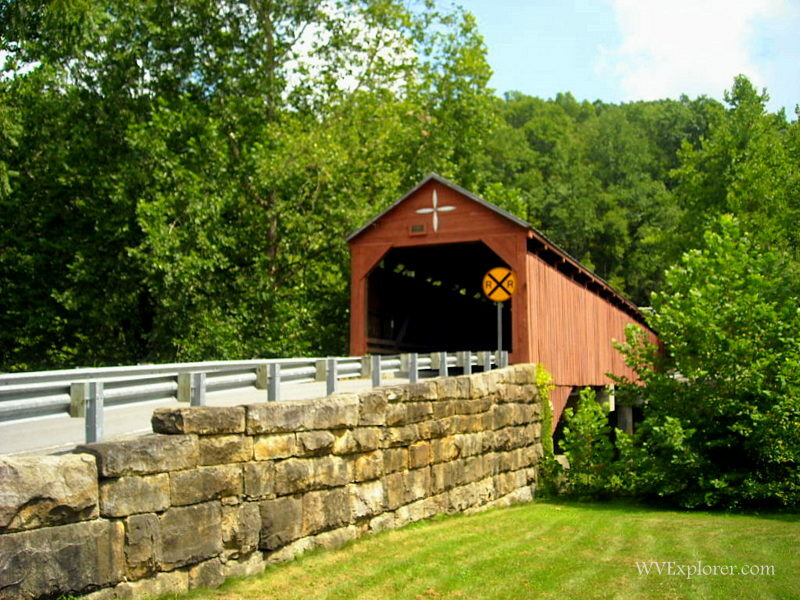 It is the second-longest and third-oldest covered bridge in West Virginia. It was built by Emmett and Daniel O’Brien in 1856 and was renovated in 1962. The bridge is located off US-119 north of Audra State Park and south of Philippi, West Virginia. It is one of two remaining covered bridges in Barbour County; the other is the Philippi Covered Bridge. NOTE: The bridge was burned in August 2017. Authorities were soon after trying to determine a cause and arrange for preservationists to assess the possibility of restoring the structure.